It might still be the depths of Winter, but at Bertie’s we are already thinking ahead to those sunny BBQ days! Charcoal has been made in around Hadlow since Roman times and much of the local woodland is Sweet Chestnut coppice that the Romans used as a source of fuel for their iron smelting works. Charcoal making is a skilled craft that requires careful management of the kilns for 2 or 3 days. Get the air supply wrong and you end up with a kiln full of ash or part burnt wood, get it just right and you end up with best charcoal there is, Kent lumpwood. 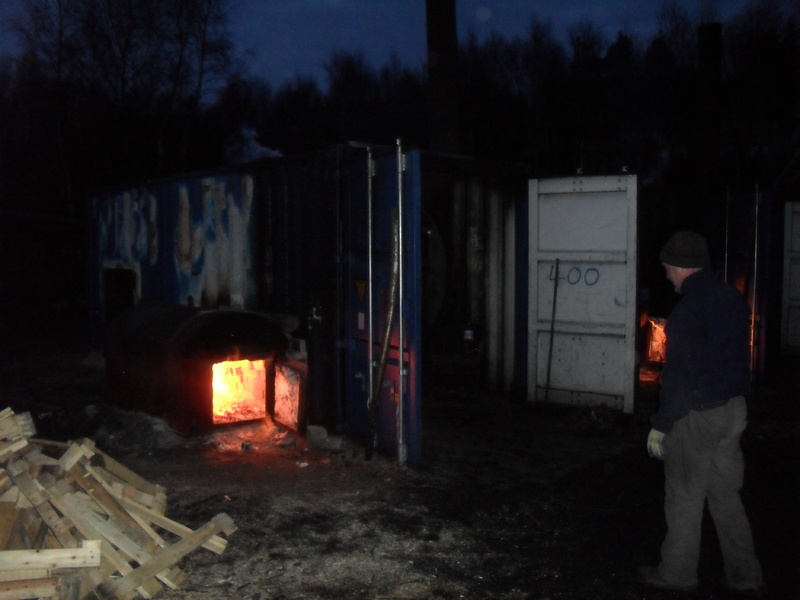 The photo below was taken at 5 pm on a very cold January evening and the kilns still needed to be fuelled and tended overnight to complete the burn. You can buy Bertie’s Premium Kent Charcoal from Hadlow Farm Shop. We managed to find the BBQ, so after a quick trip to Tonbridge Farmers Market to see our good friends from Marsh Farm, it was back home to fire up ready for lunch. 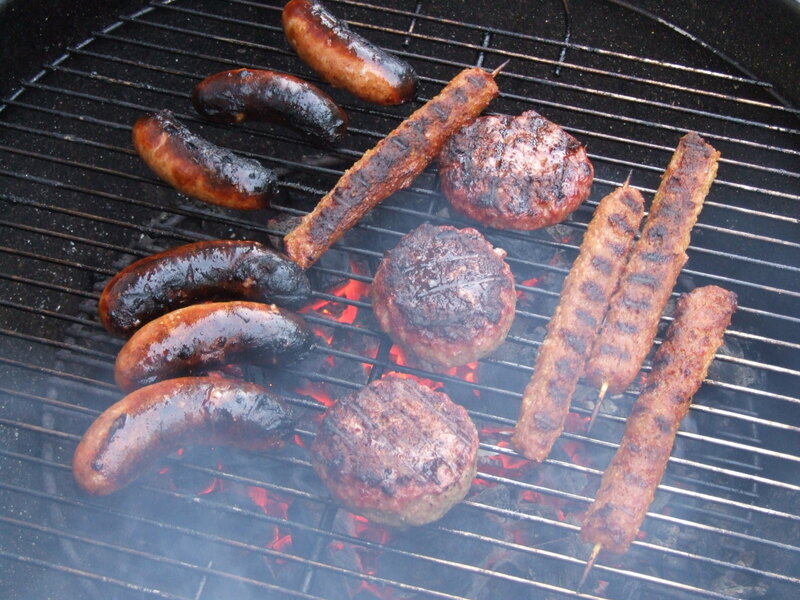 Using only Bertie’s finest locally produced charcoal we soon had the sausages sizzling! Strewth, it’s time to get the Barbie out! Summer’s here at last, so it’s time to dig the barbeque out of the shed and get those sausages sizzling! All you need is a pack of locally produced sausages and a bag of Bertie’s Charcoal, both are now available at Hadlow College Farm Shop, along with lot’s of other scrummy locally produced fine foods. Bertie’s charcoal is made in Hadlow from locally coppiced sweet chestnut, a tradition that dates back in the area to Roman times. It lights easily, heats up quickly and produces high heat, with none of the additives or chemicals often found in imported charcoal. Hadlow College Farm Shop is open 7 days a week and can be found on the main Tonbridge Road, between Tonbridge and Hadlow.